Yet another reason to distrust commonly administered vaccines has come to light, thanks to local news outlet The Morning Call in Pennsylvania. Sanofi Pasteur is a French vaccine manufacturer, the second largest in the world. In April 2013, glass was found in sample vials of its Haemophilus b conjugate vaccine (ActHIB). The samples were sent to a laboratory that found delamination—flakes of glass from the inside of the vial (called lamellae) that leech into the vaccine itself. Haemophilus bacteria are known to cause meningitis; its vaccine is routinely given to children five years old and younger. Rather than recalling the lots of vaccine that contained lamellae, Sanofi Pasteur simply changed its vial vendor for subsequent doses. Administration of the contaminated doses continued until they expired in September 2014. There was no public notice and the report made to the U.S. Food and Drug Administration (FDA) by Sanofi was two months after delamination was discovered. The FDA was placated by Sanofi Pasteur’s assertion that the problem was rectified by changing vendors and did not force a recall. Quite frankly, the FDA did not involve itself in investigating Sanofi Pasteur vaccine development or production. “No adverse events to date have been reported nor can be directly attributed to this phenomenon. However, there is the potential for drugs administered intravenously that contain these fragments to cause embolic, thrombotic and other vascular events (e.g., phlebitis); and, when administered subcutaneously, to lead to development of foreign body granuloma, local injection site reactions, and increased immunogenicity.”(2) worte the FDA’s Advisory to Drug Manufacturers. Minor skin reactions and low-grade fever are common after an immunization. Any reaction immediately following an injection would be dismissed as normal. A subsequent reaction like immunogenicity (an event or catalyst that causes an immune response in the body) would occur over time following a vaccination; often, any symptoms wouldn’t be associated with the vaccine itself. Would You Want Glass In Your Veins? There have been many recalls of vaccines (pharmaceuticals and medical devices as well) from different manufacturers; some at FDA direction [over eighteen hundred recalls on vaccines alone (3)] and some voluntary. One such recall in December 2013 was Merck’s vaccine Gardasil for the human papilloma virus (HPV). Lamellae were found in .0013 percent of the doses manufactured. In contrast, the proportion of ActHIB found with lamellae was much higher, at .4 percent, or 1 out of 250 doses. The advocacy group Drugwatch.com keeps a record of dangerous drugs and medical devices, all in one place—you can find it here. 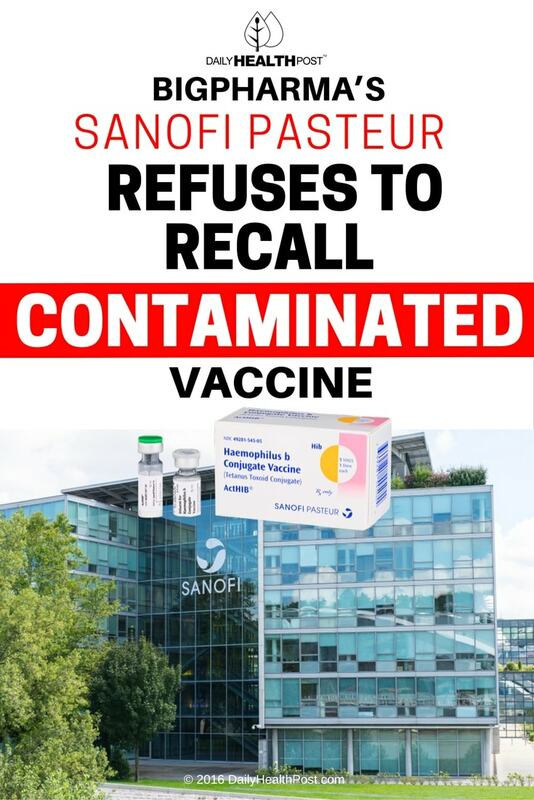 How Sanofi Pasteur got away with not being compelled by the FDA to recall its contaminated vaccines is troubling. Part of the FDA’s protocols with reports of this type is to investigate the problem and its resolution. A task force was convened and issued its findings to the Administration. The blame for the contamination was placed squarely on the vial manufacturer by Sanofi. The pharmaceutical company explained that it had changed vendors and so had acted responsibly in rectifying the problem. 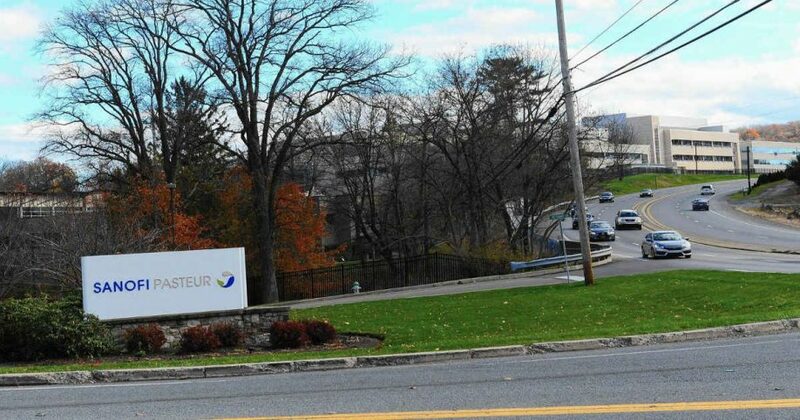 Although the FDA task force’s inspection report found fifteen violations in Sanofi Pasteur’s handling of the ActHIB contamination, it accepted Sanofi’s actions as adequate and closed the case. The FDA stated that a medical assessment of the vaccine confirmed its purity and saw no concerns for its safety. The medical assessment was performed by the manufacturer, not an objective party. Sanofi decided the risk of someone becoming seriously injured or ill from a shot of ActHIB with lamellae was small enough that a recall wasn’t worth it. Further, the FDA inspection report notes, “Finding of delamination of vials used to fill ActHIB did not lead to an examination of other products that used vials from the same vendor”. Sounds an awful lot like negligence, doesn’t it? So it would cost too much to recall the identified bad ActHIB lots so the manufacturer was able to talk its way out of doing so. And the FDA bought it. The relationship between the FDA and BigPharma is complex and interesting. A company that wants to sell any kind of drug in the United States must pay a substantial fee to the FDA. (5) This adulterates the relationship and creates a client/agent scenario rather than supplier/regulatory body. BigPharma is allowed to regulate itself, conducting its own research into problems and deciding what actions to take as a consequence. The FDA, like other government agencies, is an advocate for BigPharma. This may be the most heinous act of this particular company but it’s not the first. Sanofi Pasteur has been fined for bribery, antitrust and unfair trade practices, and improper kickback payments. There were two customer complaints to the manufacturer about the vaccine within six months of the discovery of lamellae. Sanofi refused to disclose how many contaminated doses of ActHIB were sold. If it were my child adversely affected, one is too many.